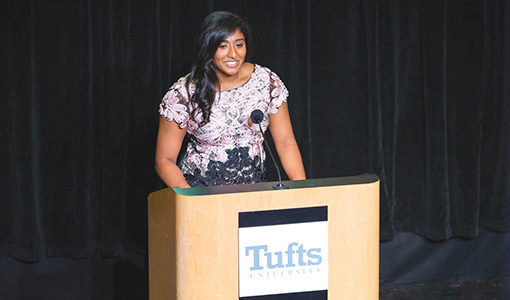 Tufts dental celebrates 150 years of accomplishment. 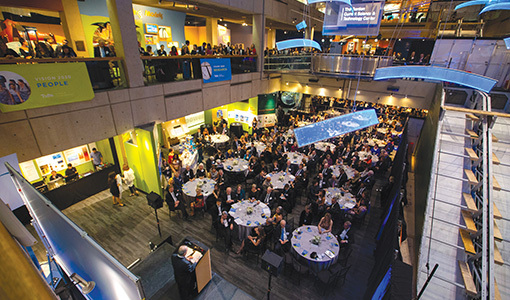 More than six hundred members of the Tufts dental community gathered for the School of Dental Medicine’s 150th anniversary gala at Boston’s Museum of Science on September 28. 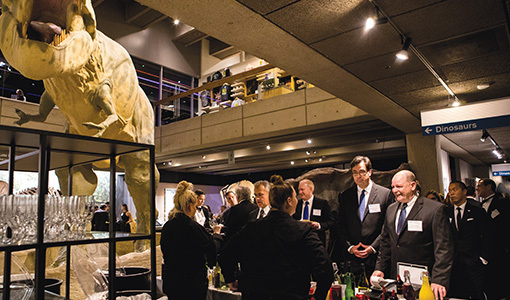 Dwarfed by the museum’s enormous T. rex—fittingly, the creature with the most powerful bite of any land animal that ever lived—guests celebrated at the largest fund-raiser the school has ever hosted. 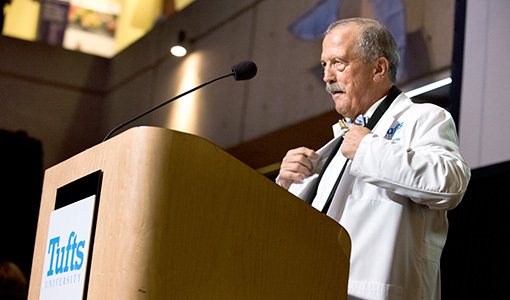 “This evening is the culmination of our time celebrating 150 years as global leaders in oral health,” Dean Huw Thomas said. 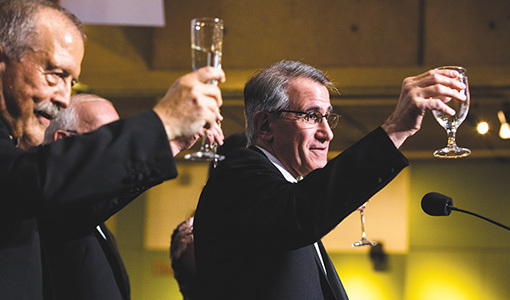 The event, emceed by Richard Valachovic, president of the American Dental Education Association, raised approximately $265,000 for the new Impact Fund. The Impact Fund provides support for the treatment of patients with complex dental, medical, and psychological needs who might otherwise be unable to afford care. These cases will also provide significant educational opportunities for both predoctoral and postgraduate students, combining the school’s clinical and teaching missions. 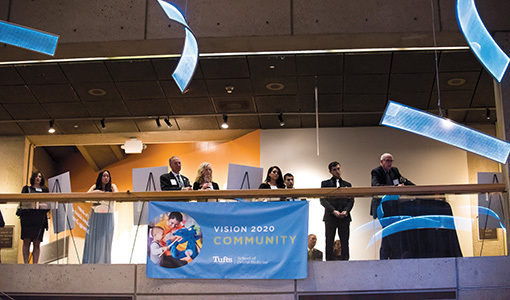 “It’s been a great experience having professionals collaborate on a philanthropic opportunity that will help our entire community: patients, faculty, and students,” said Betty Ann Kearney, the school’s senior director of development and alumni relations.